Aston Villa have been the team to beat in recent weeks, but Dean Smith’s side march on in their challenge for a top six finish this season. The Villans have now won eight league games in a row after their hard-fought 2-1 win over Bristol City at the weekend. One man that has played a starring role in the success of this Villa team this season is Tammy Abraham, but they’ll have to adjust to life without him when he departs in the summer. Abraham is only on loan with Dean Smith’s side from Chelsea until the end of this year’s campaign, and Dean Smith will have to find a suitable replacement to fill the notable void that will be left by the forward. But Abraham’s replacement could be a rather straightforward one for Smith, who could link up with a striker he knows well. The Mirror have recently reported that Villa are one of the club interested in signing Neal Maupay from Brentford in the summer when the transfer window reopens. Maupay has been in excellent form this season and has 23 league goals to his name for the Bees this season and would certainly be able to fill the void left by Abraham at Aston Villa next season. The Frenchman is a proven goalscorer in the Championship, and would be more than deserving of a move to a more reputable club in Aston Villa. With the Villans challenging for a return to the Premier League this season, Maupay could well find himself leading the line for the Smith’s side in the top-flight. But he’s more than capable of making the step up to the standard required in the Premier League, and he also has age on his side as he’s only 22-years-old. 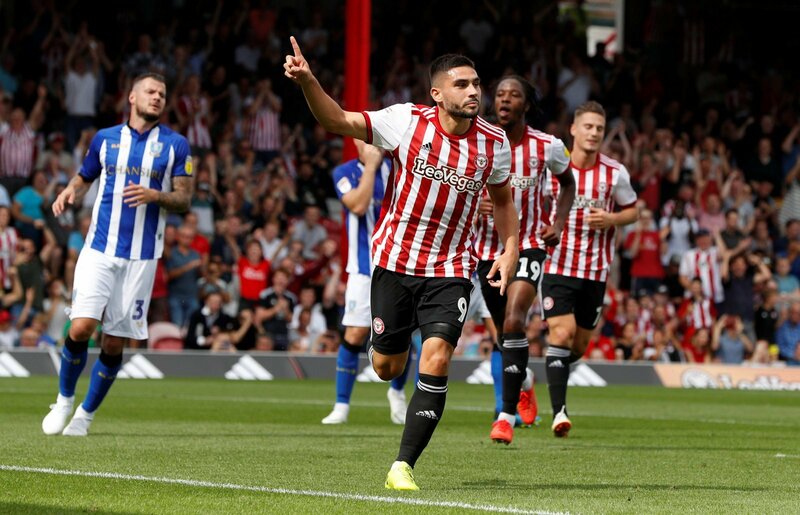 Maupay is sure to have many potential suitors in the summer, but Dean Smith will be hoping that he’ll have the pulling power to bring him to Aston Villa after working with the striker last season. It’s a recipe for success if the two work with each other again next season, and Maupay should be top of Aston Villa’s shopping list for next season.